AYER, Mass. & PHILADELPHIA--(BUSINESS WIRE)--Cambrooke Therapeutics, a member of The Ajinomoto Group, and Trovita Health Science, a specialty medical nutrition company, announce a joint marketing and development partnership for ENU® Nutrition meal replacement shakes. 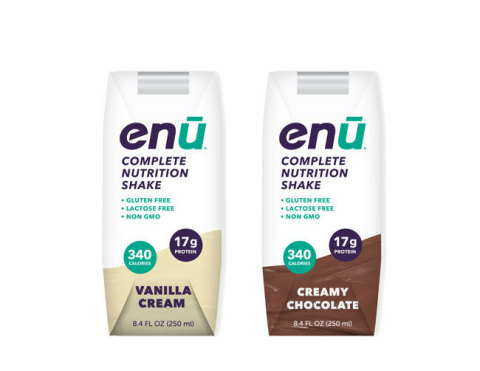 ENU Nutrition products were developed in collaboration with registered dietitians from leading academic and community cancer centers in the United States to help those seeking a highly nutritious, more natural, non-GMO nutrition supplement drink. Trovita launched ENU in 2014, and more than two million servings have been consumed by a wide range of consumers, including those with oncology nutrition needs, cystic fibrosis and even elite athletes—all who share a desire for high quality, calorically dense nutrition. Cambrooke’s acquisition of the ENU brand and strategic alliance with Trovita will allow more patients to benefit from ENU. Cambrooke will manufacture ENU in its Ayer manufacturing facility, and Trovita Health Science will continue to market and distribute ENU. The strategic partnership includes new product development guided by the global nutrition R&D powerhouse in Cambrooke’s parent company, Ajinomoto. Founded in 2000, Cambrooke Therapeutics, a proud member of The Ajinomoto Group, is a Massachusetts-based therapeutic nutrition company and global provider of medical nutrition products for patients with serious unmet medical needs. Cambrooke Therapeutics works with physicians and researchers from around the world to develop, test and commercialize products that are focused on inborn errors of metabolism and intractable epilepsy. More information is available at cambrooke.com. Trovita Health Science is a growing specialty medical nutrition company with a focus on developing a portfolio of novel medical foods and meal replacement formulas. Trovita’s emphasis is on reducing malnutrition and weight loss in chronic diseases, such as cancer, cystic fibrosis, and tube feeding. Trovita launched ENU® Complete Nutrition Shakes in 2014, and will expand product offerings for the ENU Nutrition brand, and launch new Ultrient® Ready-to-Feed formulas for tube feeding in 2019. More information can be found at ENU-Nutrition.com and TrovitaHealth.com. Ajinomoto Co. is a global manufacturer of high-quality seasonings, processed foods, beverages, amino acids, pharmaceuticals and specialty chemicals. For many decades Ajinomoto Co. has contributed to food culture and human health through wide-ranging application of amino acid technologies. Today, the company is becoming increasingly involved with solutions for improved food resources, human health and global sustainability. Founded in 1909 and now operating in 35 countries and regions, Ajinomoto Co. had net sales of JPY 1,150.2 billion (USD 10.36 billion) in fiscal 2017. For more about Ajinomoto Co. (TYO: 2802), visit www.ajinomoto.com. Cambrooke Therapeutics and Trovita Health Science announced a joint marketing and development partnership for ENU® Nutrition meal replacement shakes.